“Cardboard packaging represents 39% of all packaging produced,” says Institution of packaging research, in its 2017 economic report. Cardboard now ranks first in front of glass (22%), wood (18%), plastic (16%) and metal (5%). With 50% of tonnages, it is the first material used for commercial and industrial packaging and is on par with plastic in the household packaging market with 25% of tonnages. In total, it represents 80% of the transport packaging, the remaining 20% being used for household packaging. 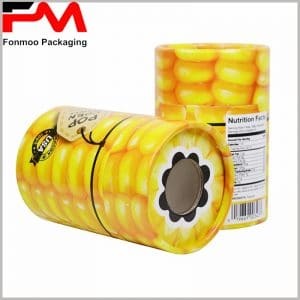 With nearly 3.8 million tons and 6.3 billion square meters, corrugated board constitutes 59% of paperboard packaging in today’s market, far ahead of paperboard (22%), flexible packaging paper (12%) and those based on molded cellulose (1%), once again observed at this leading place. With an increase in production of 0.2% in tonnage and 3.5% in surface, it is one of the main beneficiaries of the resumption of the general activity that began in 2017. It has notably benefited from the rebound of the agriculture and food and the rise in household consumption. The continued growth of online shopping, about 4% of total consumption, represents another growth vector. “The sector has experienced double-digit growth for several years,” says the report, recalling that 80% of these packaging are made of corrugated cardboard. “In the face of a tense market, rising production costs and a volatile market outlook for recycled paper (RCP), further price increases for all kinds of corrugated paper (COP) were applied at the beginning of the year”, report the authors, “The price increase of the energy, electricity and gas mix has led to an increase in the production costs of paper mills,” the report adds. Another factor contributing to pulling prices upwards is the delayed opening of COP plants in a context of high demand. The report also details initiatives taken by production sites to remain competitive: optimize the mechanization of packaging chains, improve the visibility of products on the shelves, strengthen marketing policies or increase the traceability of their products. The corrugated sector achieved a turnover of about 7.3 billion usd in 2017, 3.8% more compared to 2016. With more than 300 thousands employees and 7.3 billion usd in sales in 2017, excluding liquid food packaging, the cardboard sector should also remain dynamic in 2018. After closing last year with an increase of 2.5 In terms of volume and turnover, the report shows that folding boxes (flat boxes) increased by 3.3% in volume and by 3% in value while corrugated cardboard slightly improved (+ 1.5 and + 2%). The production of tubes has meanwhile achieved “a record year”, according to the report which indicates + 4.5% in volume and as much in value. Conversely, the mounted-covered (which means boxes and mounted boxes) cash a fall of 2% of its tonnage and 1.5% of its value. And in 2018? “Cardboard should benefit from GDP growth and an increasingly market in its client markets,” the report said, before raising “uncertainties”. The saturation of production tools, combined with increases in the price of raw materials (recycled paper and pulp), as well as tensions in recruitment could temper this optimism.